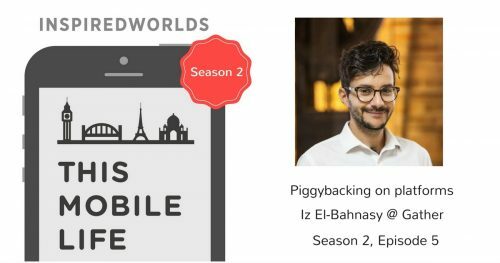 We chat to Iz El-Bahnasy, founder of Gather for Season 2 Episode 5 (S2E5) for This Mobile Life podcast. Gather is a Shopify app that boosts lead generation capabilities for eCommerce merchants. Iz also is the founder of Sourcecraft, which helps clients build new custom web and mobile application. He manages to juggle this with running the Product Hunt Meetup in Sydney as well. In this podcast, we discuss the benefits of piggybacking on top of another platform. In season 1, Episode 8 of This Mobile Life we speak to Dain Hedgpeth, founder of Skater. Skater is a mobile game with real skate spots, real skating feel, real gear. 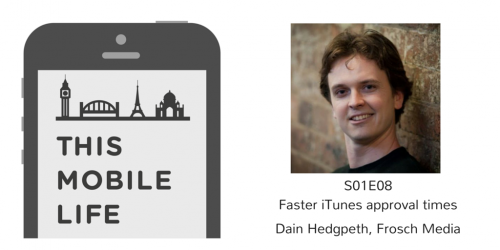 We chat about faster iTunes approval times for iPhone/iPad apps. We have both noticed the speed has been improving and some apps are being approved in 24 hours. 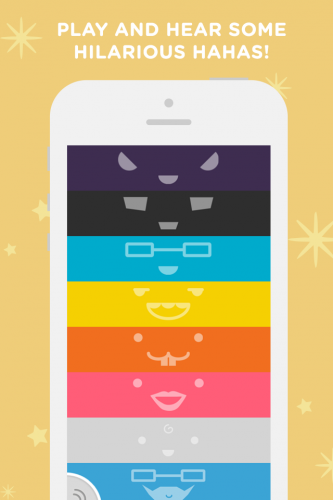 We discuss why this has happened and the impact for app developers. Dain is a good friend of ours and we always have great in depth discussions about app marketing. We sat next to Dain for about a year in the same co-working space, Fishburners. I recorded a podcast on “On Demand Services” for This Mobile Life (S01E07). My guest was Ilter Dumduz, co-founder of Blys. Blys provides on-demand mobile massage service in Sydney. 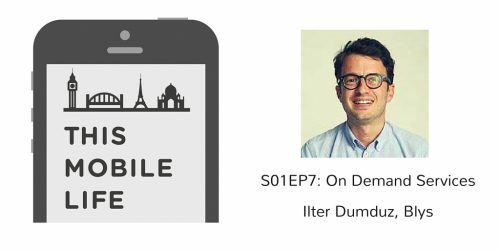 I’m very excited to have Ilter as a guest as he’s worked in product management at Freelancer, Domain and GlamCorner. It was an awesome interview discussing on demand services, marketplaces, and product craft. This is something I’ve wanted to do for a while. No not make comically large buttons. But I’ve already done that on my food blog wheresmysauce. More on this later. I get a lot of inspiration from browsing other websites/apps. Using a brilliant tool called Skitch, I’ve been saving things across the web that I like. Things like buttons, images, and ads. Its not just the look. Its also the thought that goes into it. Timing. Placement. User experience. Execution. So I’m going to start sharing more of the things that I’m clipping. I’ve done it for a while now as a note to myself. Here’s one from my Skitch archives. I came across this register button from UX Launchpad which I thought was hilarious. Awarded Australia’s Top 20 Best Business Blogs by Smart Company! I have some fantastic news. SmartCompany awarded inspiredworlds as a top 20 Best Business Blog in Australia! You can read it here – we’re #18. Here’s the big ol badge they gave me below! I also permanently stuck it on the blog on the right hand side. I’m definitely humbled by it. I’ve been toiling away on this blog for years. I haven’t been the most consistent blogger, posting sporadically when I have time. As I’m running my consultancy Tapmint which makes mobile apps and Native Tongue which creates language learning apps. If you are interested in mobile apps, check out the tapmint blog where I am also blogging frequently. Inspiredworlds started as a personal blog to share things that inspired me, in the hope that it would inspire other people. I’ve also narrowed that focus to the things that interest me which are primarily the intersection of digital and business. I’ll definitely be more motivated to post regularly now with the SmartCompany award. I have to live up to this reputation! I started this blog because I was new to the technology industry. I didn’t know many people in the digital space 7 years ago. I started going to events and networking. Meeting new people in the industry, sharing ideas and thoughts. Not much has changed 🙂 I don’t go to as many events but I still love writing. I believe that a blog is a great platform to share and meet more people. Its a more scaleable platform for my voice and engage with others. It can also be a place to share my experiences and my expertise. Its uncensored because YOU can write whatever you want and press publish. Then its available to the whole world. If you would like to receive more award winning Australian best business blog content, then sign up to my email list 🙂 I send out a fresh newsletter once a month, including the latest updates on this blog. It was my goal last year to launch one product. It came up in a conversation with my friend Murray at 2am on his balcony on New Year’s Eve. More or less, he told me to just do it (shoutout to Nike). After that, my business partner James and I agreed that we were going to ship one product. We felt this was an achievable goal for 2014. The background is that I had been doing a lot of consulting work in 2013. I had decided that I was going to work on one of my own projects. I had previously made language games for my business Native Tongue which are still being downloaded to this day. In fact, I’ve received an email today from an elementary teacher in the US. She informed me that she had installed the Spanish Smash app on 4 ipad’s for her Spanish class. I’ve had a lot of fun doing consulting and working on various projects. But I’ve also had this itch that I needed to make something new. We did everything by bootstrapping. We do consulting work creating web/mobile products for businesses. The Tapmint business gives us the platform to do creative stuff and to employ a team. This is the path we’ve chosen and it works for us. Its a slower journey and fueled by organic growth. Also, if we weren’t doing software consulting, we might not have come up with the second product which solves a problem that we have. Startups for the rest of us! Shoutout to Rob Walling. I’ve got some more things planned for 2015. 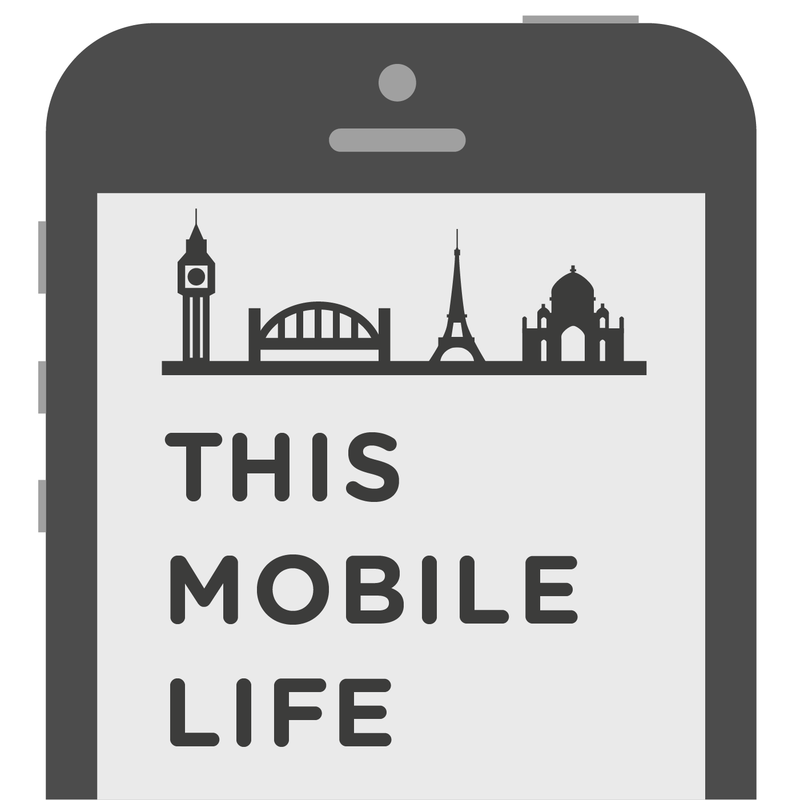 I will be creating a podcast called “This Mobile Life”. 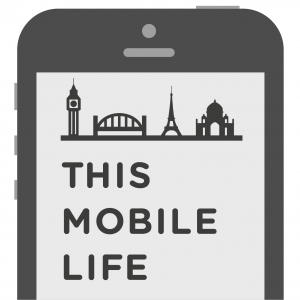 Its about two topics: 1) Mobile Apps 2) Being Mobile i.e having a mobile work environment and working remotely. I’ve recorded the first episode but we’re going to re-do it to make it shorter and snappier. That’s because I want to make it more punchier for you 🙂 I’ll give you a sneak peak of the podcast cover design. Towards the end of last year, I also wanted to write a ebook about mobile apps. However, I’ve decided to take a shorter route and start with something simpler. I’ve written a 5 day email crash course on launching mobile apps which you can find on our Tapmint website. It now has 15 subscribers in the past few weeks with very little promotion from me. I’ll be applying everything I know to launching both apps and will be adding more content to the email course. If you are interested in launching a mobile app, join the course! I’ll be spending more time in 2015 refining the course. In 2014, I started to see a pattern of people asking about analytics. So I made it my goal in 2015 to do more in this area. An opportunity came up with General Assembly to teach a course on mobile analytics as they saw my email course. Its an area that I have experience in. So I’ll be teaching a course on “Intro to Mobile Analytics” in February 2015. It is the first time its been taught in Australia. I believe its an area of GREAT importance to businesses and startups. It is also not very well understood. I will be developing more authority in this area along with Mobile UX. I will also be offering a consulting service on mobile UX that combines with mobile analytics. I’m in the process of defining what this service is so watch this space! Did you achieve your goals in 2014? What are your plans for 2015? During the Christmas Holiday Period, the iTunes Connect store shuts down. This has an impact on app developers and app marketers. Its also the time when the app store experiences peak downloads during the year. I’ve written a blog post over at the Tapmint blog (my consultancy) which explains in more detail why it closes down and how you can prepare for it. Read more here.